Разстояние до летището 58,2 км. Имате въпрос към Hotel Abest Nagano Ekimae? 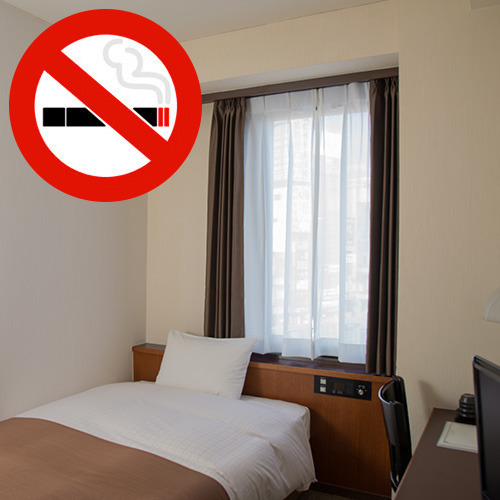 При посещение в Нагано, в Hotel Abest Nagano Ekimae ще се почувствате като у дома си, защото предлага квалитетно настаняване и отлично обслужване. Само на 1 km от градския център- това стратегическото местоположение на хотела гарантира на гостите си бърз и лесен начин за достигане до интересуващите ги точки на града. С удобното си местоположение хотелът предлага лесен достъп до всички градски забележителности, които задължително трябва да се видят. В Hotel Abest Nagano Ekimae отличното обслужване и достъпните съоръжения допринасят за Вашия незабравим престой. За удобството и комфорта на гостите хотелът осигурява безплатен WiFi достъп във всички стаи, магазин за смесени стоки, обществена пералня, таксиметрови услуги, 24-часова рецепция. Всички стаи се отличават с грижливо замислени удобства, което гарантира неповторимо усещане за комфорт. През деня можете да се насладите на отпускащата атмосфера благодарение на масаж. 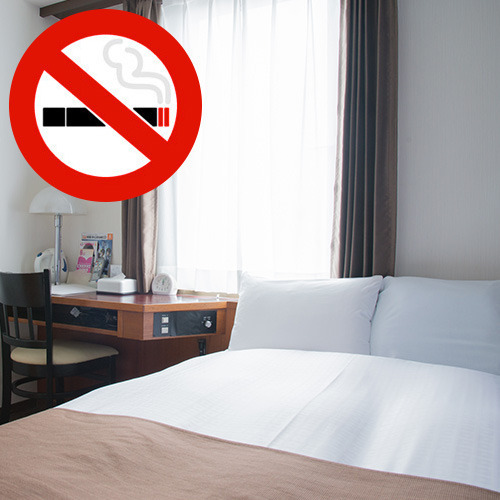 Каквито и да са поводите за Вашето пътуване,Hotel Abest Nagano Ekimae е най-доброто място за престой, което можете да изберете в Нагано. Номера в отеле очень тесные и напиханы на одном этаже "впритирку", ночью спать невозможно, т.к. через стену слышно чуть ли не дыхание из соседнего номера. С улицы на 6 этаже прекрасно слышны все крики и разговоры, звуки машин - спать невозможно, две ночи из трех были ужасные. Гостиница подойдет только на одну ночь. We stayed here for one night. Staff was helpful. Room was comfortable. Very convenient. Only problem is Agoda website did not mention this hotel needs to pay for parking, so we were shocked when we arrived at hotel and being told that we had to pay for parking. 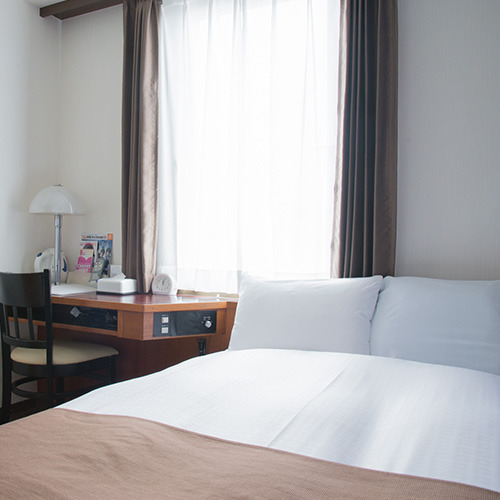 The hotel is just in front of the Nagano train station and bus terminal, which is very convenient. Many convenient stores and restaurant around the hotel. 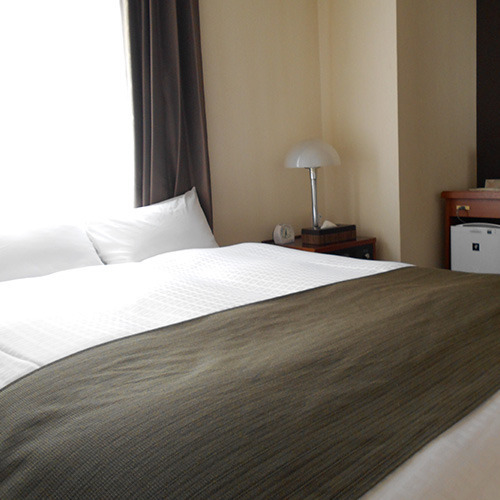 The room itself is quite spacious and fully equipped with air conditioner and hair dryer. The toilet is clean and has amenities. A few down things are -Laundry... No obvious coin washing machine and dryer in the building. It said in the paper staff handed during check in that " to contact the staff if need to wash clothes". -The electric outlet is quite hard to find. Two are hidden below the desk and two are at the side of the TV table. Booked 2 rooms - 1 single and another double. 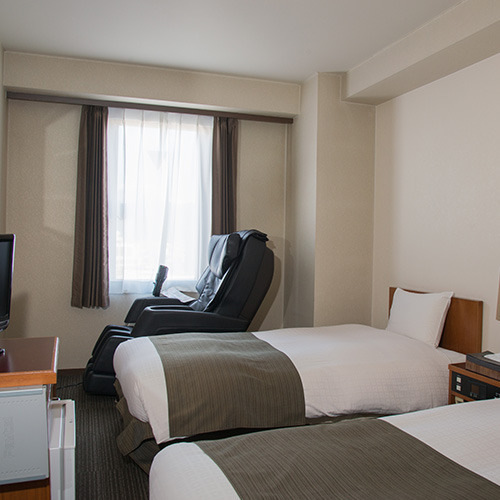 The double rooms comes with a professional massage chair which was god sent after a tired day out hiking at Madarao Kogen. They even have 3 more massage chairs on the 10th floor with the view of Nagano Station with mountain view behind. A gem find and will definitely book here again! 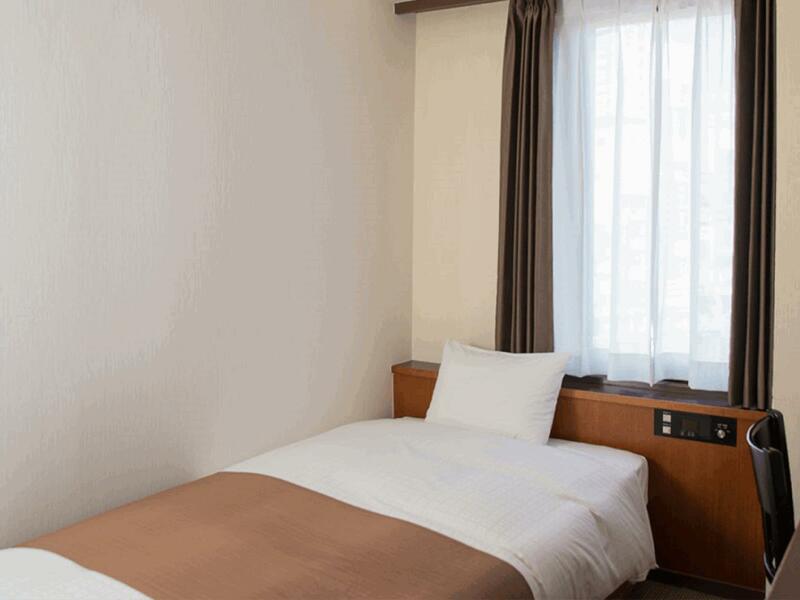 Clean and comfortable room, good facilities in general, vending machines and microwave oven available at 8th floor, easy to heat up instant meal, just opposite of Nagano Station, easy to move around to tourist location, around 1.5km walking distance to Zenkou-ji Temple, a nice walk with shops lining the road, well priced. Great location. You can see the hotel as you walk out from Nagano station. Makes for a very convenient location if you plan on going to monkey park. There is a bus or train you can take to get out there. The day pass sold at the station is a good deal as it gives you additional free unlimited use of the subway system as well within Nagano. 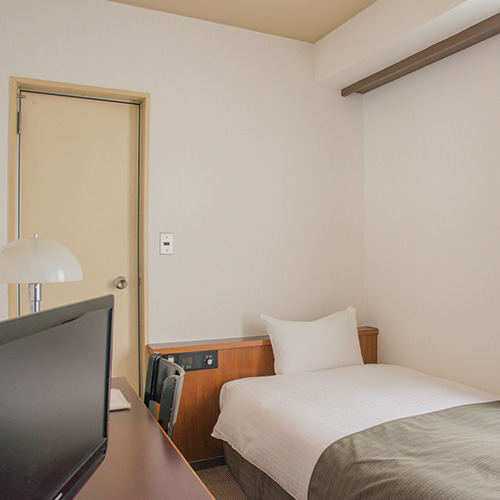 It located in a super convenient place which is only 1-minute walk to Nagano stn. I was lucky with a special promotion rate. Staffs was friendly and even helping me forwarding a luggage to Kanazawa when I was joined a Tateyama Alpine trip. The room is tiny than other Japan hotel. Central air conditioning is too warm that we can’t stand even it’s LOW,we have to turn off the air con and borrow a heater. The hotel is just opposite to the train station, the room is dated but clean. 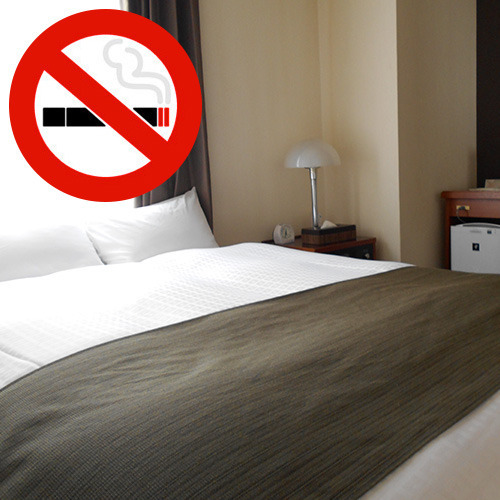 Although my room is smoking room (as there was only smoking choice left), but the smell is very little that I am happy about it. The reason I booked this hotel is that someone said in Tripadvisor website that they can offer the luggage delivery for Tateyama Kurobe. But It is not right. They do offer normal next day luggage delivery. But if you want the same day luggage delivery from Nagano to Toyama, you need to go to the train station, there is a luggage delivery store for this service. Literally just outside of Nagano Station. 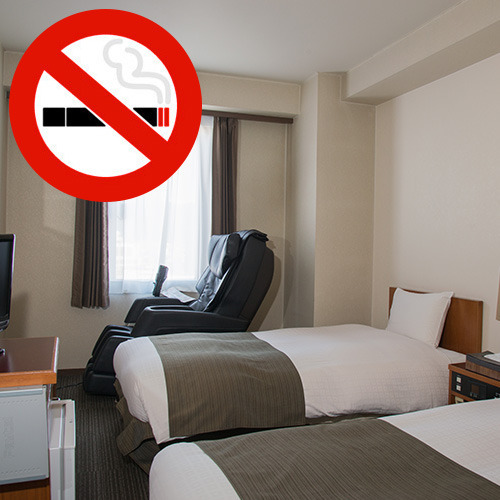 Good - The staff are courteous and helpful, I booked twin smoking rooms (coz those are the last available rooms they have) and they changed it the next day coz I told them that my family has asthma. The room is bigger than the ones I stayed at in Ueda and Tokyo. 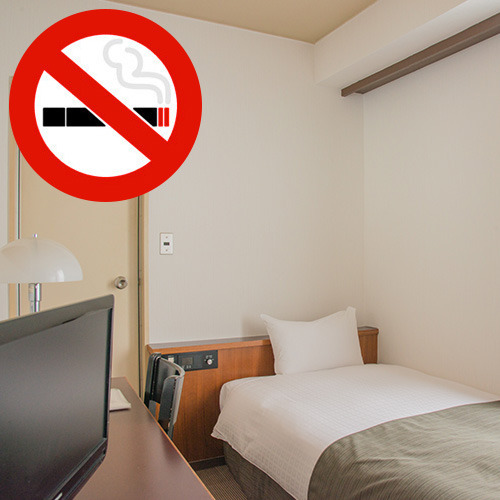 Bad - It is one of the oldest in terms of hotel facilities around Nagano station, even the non-smoking room still has this foul smoke stench and the bed spring hurts my back when I sleep. Across from Nagano JR, and close to the bus station from where you can go to some scenic places. There are free massage chairs at the top floor. The breakfast was simple but acceptable quality. The room faced the train station and the view was fine. Convenient as it is right in front of the Nagano Station. We enjoyed the complimentary coffee/choco in at the reception. The shampoo bar was an experience we enjoyed. 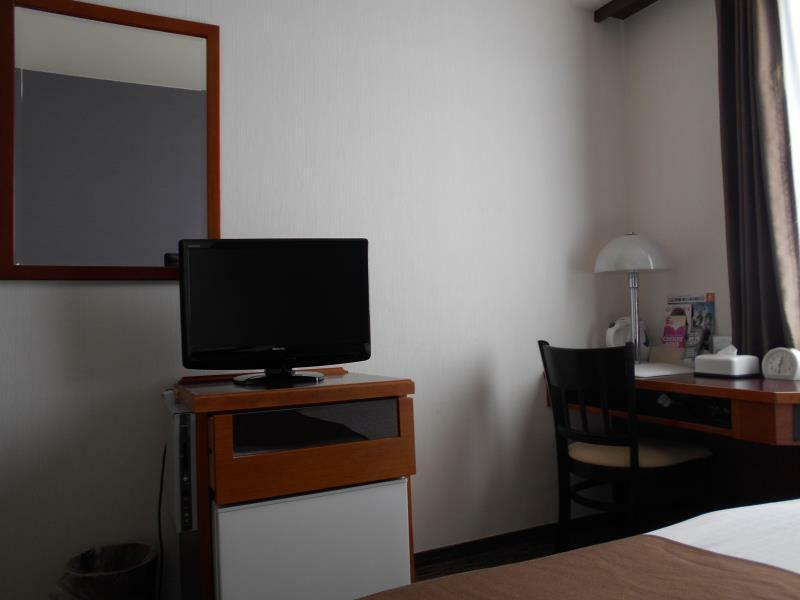 Standard business hotel in Japan. Rooms and beds are good, clean, and with enough space for a large suitcase. Utility bathroom is small, but standard size in Japan. Staff could have been a little more friendly but they were fast and got the job done. perfect. location just opposite station. conbini downstairs. clean and fairly spacious room. enough facilities. great staff (that help us with delivery service across Tateyama Kurobe Alpine route that end up with significant savings over conventional delivery). free dinner. budget price. What else to ask for? 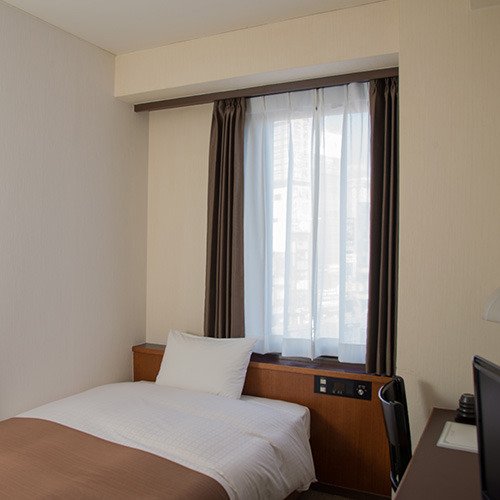 Great location, across the street from Nagano train station. Furniture show signs of aging but generally is still clean. The hotel is located directly in front of Nagano train station, that's definitely a plus For 700¥ they serve a good breakfast at the 10th floor with a good view on the city and the surrounding mountains. The air condition didn't 't work. When we got in the room and switched on the air condition, only hot air came out. Complained at the reception desk and we were told that after a certain it would be better. We waited for 20 minutes and the room became a sauna, unbearably hot. The receptionist offered us another room but the air condition there didn't work as well. So we accepted a kind of fan that provided a little relief. Other guests told us that they had to deal with the same problem. Under this circumstances I can hardly recommend this hotel to other guests. It is right across the street from the train station and if you are taking the bus to Nagano, the ALPICO bus stop is just down the street. There's a convenience store downstairs and a lot of restaurants and entertainment. My room was small and there were some marks on the walls. The walls are paper thin so you can hear everything. But overall, a decent hotel.